Maybe you have a semi-crazy dream, like being on Oprah, writing a book, or starting a non-profit that changes the world. But it can seem pretty impossible. I hope this episode gives you the confidence of our guest when she wrote in her childhood journal that she wanted to work at Disney. Today's podcast guest, Fabiola Garza, is an artist with Disney Creative Group. It was such a joy to chat with her about having big dreams, a creative career, and how her art has made her more contemplative and brought her closer to God. I particularly love her insight on what it's like to be a female artist in an industry that's often dominated by men. 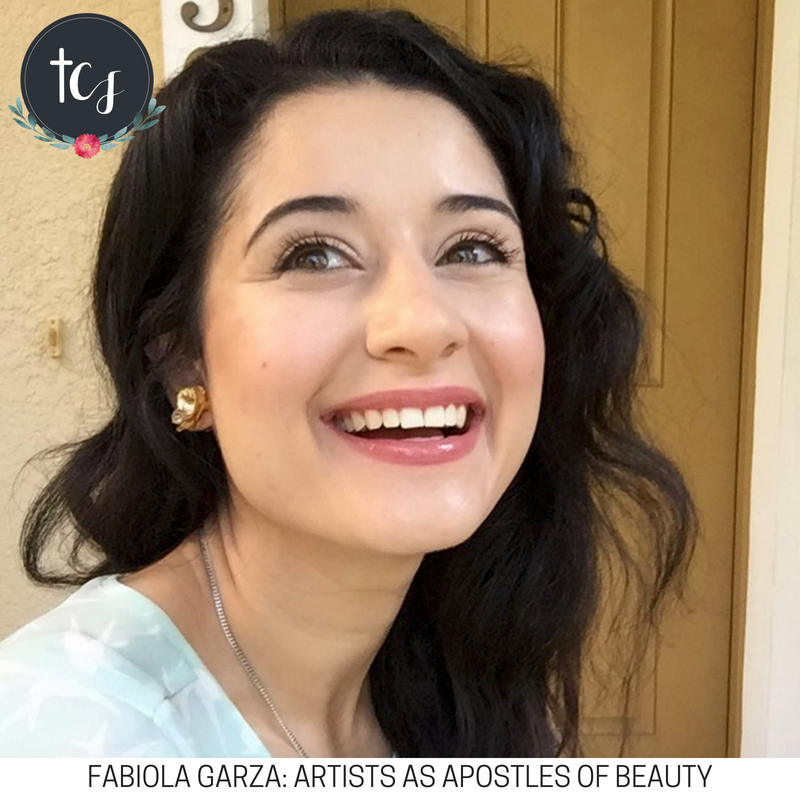 Pope Francis has said that artists are the apostles of beauty, and Fabiola demonstrates that sentiment perfectly. I hope you enjoy our chat! Today’s episode was brought to you by Audible. For a free audio book and a free 3-day trial, head here. Today's episode was also brought to you by Boba, my favorite baby wrap. Head here to check out some of their comfy, cozy carriers.